As the 2016 Summer Olympics get underway in Brazil, slalom canoeist Kazuki Yazawa, who is representing Japan, may be unique among the hundreds of hopeful athletes competing at the games in the hope of bagging an Olympic medal in that he is also a full-time Buddhist monk. 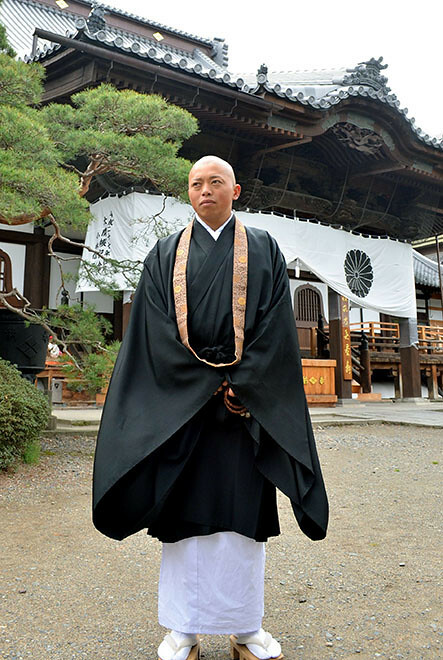 Since 2013, Yazawa has been a novice monk at Daikanjin, a temple in Japan’s Nagano Prefecture that forms part of the historic temple complex Zenko-ji, which dates back to the 7th century. Founded before Buddhism in Japan split into different schools, Zenkō-ji represents both the Tendai and Jōdo-shū schools of Buddhism. Yazawa’s participation in Rio de Janeiro marks the third time that the 27-year-old has competed at the Olympic level. Yazawa first entered the men’s K-1 canoe slalom at the 2008 Beijing Olympics, where he was unsuccessful in passing through the qualifying round. He put on an improved performance in London in 2012, where he qualified for the final round of the same event and finished 9th. In April last year, Yazawa won the all-Japan canoe slalom tournament and in the following September qualified for the Rio de Janeiro Olympics at the Canoe Slalom World Championships the following September. Rising at dawn every day for prayers, chanting, and meditation practice, Yazawa conceded that he has yet to become as adept in his Buddhist practice and he is as an athlete, as he learns his learning his chants and grows accustomed to spending long hours seated on the floor. “I haven’t got used to sitting on the heels of my feet yet,” he admits with a smile.